Be the first to share your favorite memory, photo or story of Johan. This memorial page is dedicated for family, friends and future generations to celebrate the life of their loved one. 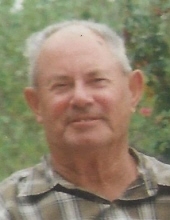 Clinton Corners – Johan Nelson Larsen, 83, a longtime area resident, died Sunday, November 18, 2018 in the Town of Stanford. Born in Poughkeepsie on June 10, 1935, he was the son of the late Lars Seaman Larsen and Olive Mary Finan Larsen. He was a graduate of Staatsburg Union Free School. Mr. Larsen was a Union Plumber and Steamfitter with Local #21 (formerly Local #201) for many years until his retirement. He was a dedicated fireman and life member of the Staatsburg Fire Department. In 1976 at St. Margaret’s Church in Staatsburg, he married the former Gail Y. Taber. Mrs. Larsen survives at home. In addition to his wife, he is survived by his daughter, Kristina D. Jones, and husband, Thomas, of Wagner, Oklahoma; brother, Lars Larsen, and wife, Hedy, of Florida; sister, Sandra Leary, and husband, Lawrence, of Staatsburg; sister, Randi Jackson, and husband, Philip, of Staatsburg; and many nieces and nephews. Flowers may be delivered directly to the church. Arrangements are by Sweet’s Funeral Home, Hyde Park. To send an online condolence or for directions, please visit www.sweetsfuneralhome.com. To plant a tree in memory of Johan Nelson Larsen, please visit our Tribute Store. "Email Address" would like to share the life celebration of Johan Nelson Larsen. Click on the "link" to go to share a favorite memory or leave a condolence message for the family.